Cloudy skies with periods of light rain late. Thunder possible. Low 38F. Winds WSW at 5 to 10 mph. Chance of rain 70%..
Cloudy skies with periods of light rain late. Thunder possible. Low 38F. Winds WSW at 5 to 10 mph. Chance of rain 70%. 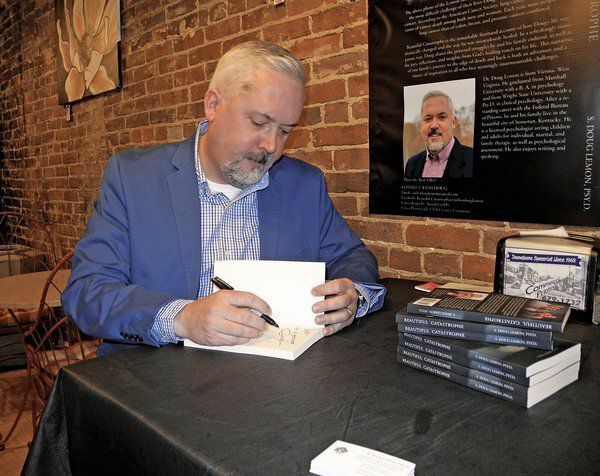 Dr. Doug Lemon is shown signing a copy of "Beautiful Catastrophe," his new book detailing his journey of faith in the face of a Stage 4 lung cancer diagnosis. 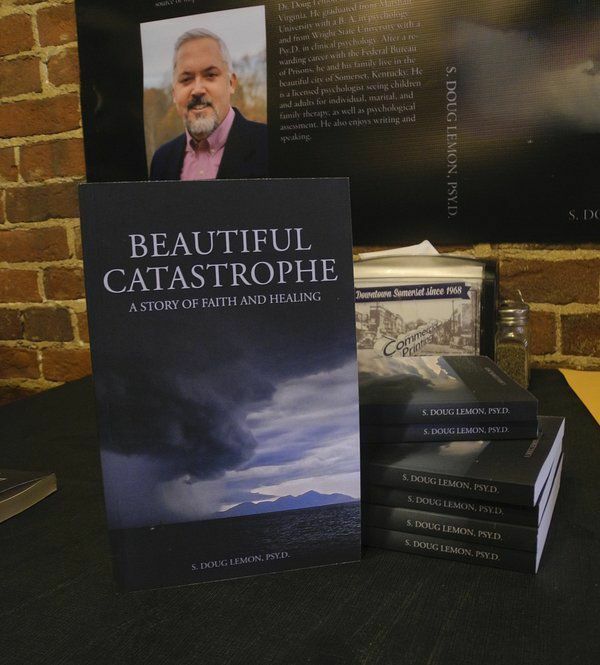 "Beautiful Catastrophe" by local psychologist Doug Lemon is available at Amazon.com and at Thee Ark here in Somerset. Downtown Deli recently held a book signing for Somerset psychologist Dr. Doug Lemon, celebrating the release of his book "Beautiful Catastrophe." Andrea and Doug Lemon recently held a book signing at Downtown Deli in Somerset, celebrating the release of Doug's new book "Beautiful Catastrophe." Doug Lemon, Psy. D., did everything he was supposed to, not only because it was the healthy thing to do but it was also the right thing to do because of his job. The West Virginia native came to Somerset in December 2011 to serve as chief psychologist for the federal penitentiary in neighboring McCreary County after having held the same position at the federal correctional institution at Ashland, Ky.
"You have to stay in shape to work," Dr. Lemon said, explaining that all prison employees are sworn officers and must be prepared to defend themselves and others in the event of an emergency. So when he began to experience shortness of breath while exercising, as well as pain if he slept on his right side, Dr. Lemon was able to minimize the symptoms with seemingly logical explanations. That was in June 2016. But the symptoms only got worse, not better. Dr. Lemon knew that something was really wrong when he took his wife Andrea, one of his sons and his son's friend to a Cincinnati Reds game. Their habit was to sit in the "cheap seats," which they'd run to upon entering the stadium. "I was 100% sure then," Dr. Lemon said. "I started running and was falling further and further behind. My legs started to burn, like they do when you're not getting enough oxygen. I knew something was wrong." On July 25, 2016, Dr. Lemon found himself in the emergency room at Lake Cumberland Regional Hospital, where he was told he had a mass in his right lung. A pulmonologist would later diagnose him with Stage 4 lung cancer. Lemon's shock isn't hard to imagine. "I was 49," he recalled. "I had never smoked, was always active and healthy." The cancer was also in the lining of Lemon's lung -- requiring the removal of 2.5 liters of fluid which had been produced to try to fight off the invading cells. Since that first time, Dr. Lemon has undergone the painful procedure 11 more times. Though treated well at LCRH, Dr. Lemon ultimately decided to try Cancer Treatment Centers of America -- traveling to Atlanta in August 2016 for genomic testing to determine if he would be eligible for newer pill therapies. "Years ago, radiation and chemotherapy were the only treatments available," Dr. Lemon said. "Now we have genomic testing to look for mutations that are unique to you and your cancer. There are pills which then target those weaknesses to shrink the tumor. This is not just for lung cancer; it's being done with melanoma and other cancers as well." Determined eligible for the treatment, Dr. Lemon took one round of pills for eight months before starting a medicine called Tagrisso. 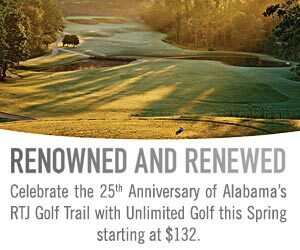 Also during that time, the psychologist was rearranging his life in accordance with what he felt was God's plan for him -- opening a private practice in Somerset in May 2017 and officially retiring from USP McCreary a month later. After months without any buildup, the fluid came back in the fall of 2017. At that point, Cancer Treatment Center doctors offered him an experimental surgery in which both layers of the lining in Lemon's right lung would be removed, along with the tumor in the middle lobe and affected lymph nodes. "Warm chemotherapy" would then be pumped into the lung for an hour. Dr. Lemon had the surgery on Halloween 2017 in Kennesaw, Georgia. As it turned out, his surgeon had graduated from the same Ashland high school as Lemon's son. "To me, that shows God's fingerprints on this thing," he said. For the next 15 months after surgery, Dr. Lemon had no evidence of disease. More than 20 of his friends and family joined him for another Reds game at Great American Ball Park to celebrate his two-year milestone last July. Then just this past February, a scan found three lymph nodes in his abdomen with active cancer cells. With his Tagrisso dosage doubled, the growth had stopped a month later. "In two months, hopefully, I'll get back to no evidence of disease," he said. "I had a 3-6 month prognosis, so I'm very happy about 32 months. I'm doing well…walking, lifting weights, just enjoying life." Whatever the future holds, Dr. Lemon has faith that it's all part of God's plan. While on vacation a month after his first visit to Atlanta, he began to write about his journey with nothing but a pen and a spiral-bound notebook. "The old-fashioned way," he laughed. The result is "Beautiful Catastrophe: A Story of Faith and Healing," which debuted on Amazon.com on March 6 and has since reached no. 25 on the site's bestseller list. The book is also being sold locally at Thee Ark Christian Bookstore. "I believe God called me to write it to give Him all the glory," Dr. Lemon said. "I want to share a positive message where people often see little hope. You can see good come from suffering. A whole lot of people reached out to us, not just friends but complete strangers. Little things mean so much when you feel like giving up. If there's a good thing about cancer, it can bring out the best in people."